Set of 3 Mp3 CDs. 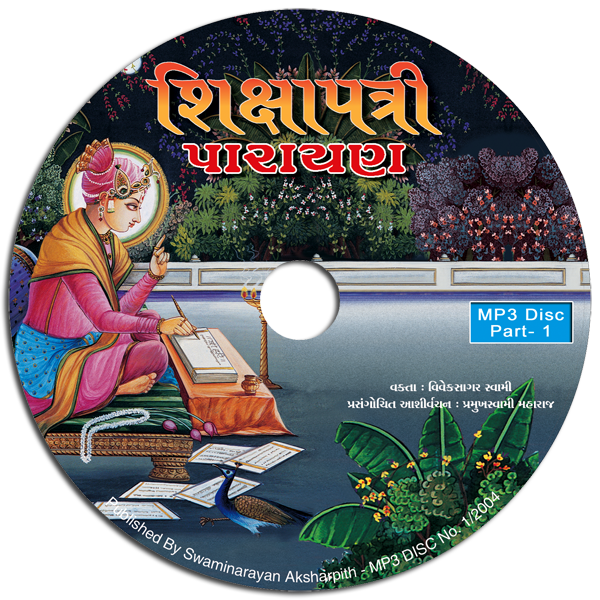 Spiritual discourses by Pujya Viveksagar Swami, Ph.D., based on the Shikshapatri - the code of ethics formulated by Bhagwan Swaminarayan. This is a full recording of the parayan delivered at the BAPS Swaminarayan Mandir in Edison, New Jersey, USA in 1998. Well researched and referenced; in simple, lucid and entertaining Gujarati. 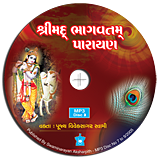 Also featured in these CD are the blessings of His Holiness Pramukh Swami Maharaj.